How long should you be keeping your Documents for? Home/Archive Storage, Blog/How long should you be keeping your Documents for? 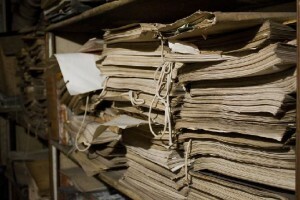 Why is it so important to keep documents and stick to your retention policy? Firstly, there is the Data Protection Act. If you hold personal information you have legal obligations to keep that data safe and to process it in the correct way. If you don’t look after this data you could be breaking the law and a serious breach to the Data Protection Act could see you being handed a prison sentence! Principle 8 of the Data Protection Act states that: ‘Personal data processed for any purpose or purposes shall not be kept for longer than is necessary for that purpose or those purposes.’ The Data Protection Act does not set any guidelines for the various type of documents that you must retain or for how long they are to be kept. 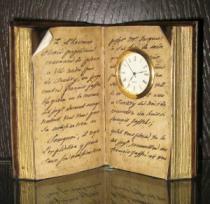 However, many business sector authorities provide advice about how long documents should be retained for. The effect on your business for keeping data too short a period of time or too long a period of time could be detrimental and could lose your business a lot of money! Clients could loose confidence in your business and go elsewhere. Clients might require compensating, if you were to destroy information that is important and still needed. If you keep information for too long a time period your company could end up processing incorrect data that could cost your company time and money. Keeping personal data in a secure a compliant manner can be a challenging task. But is doesn’t have to be with DataSpace’s flexible solutions. DataSpace can store, scan and shred your archives and help you manage your retention date. We provide tailor made Document Management packages for all your requirements call DataSpace on 0800 028 8956 or email info@data-space.co.uk for more info!